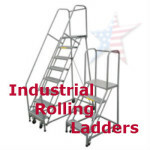 Rolling Platform Ladders are Listed here. 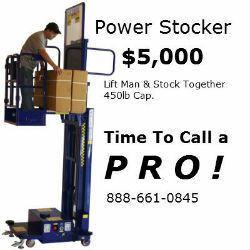 Meet the Experts. 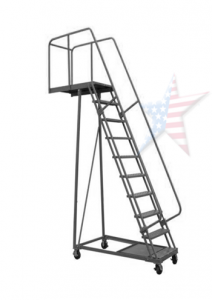 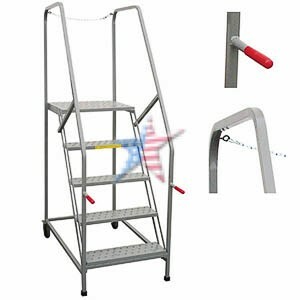 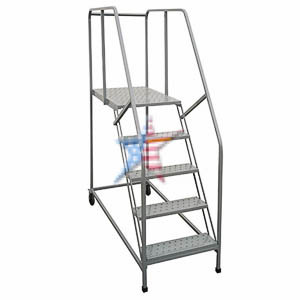 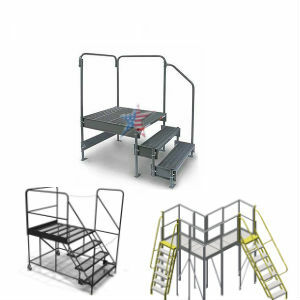 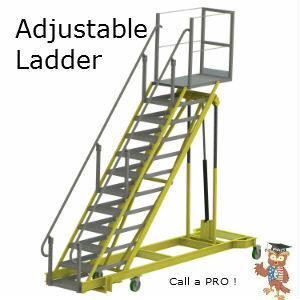 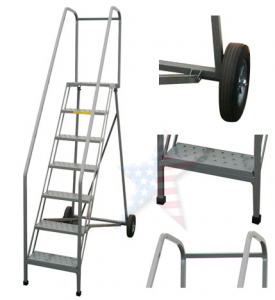 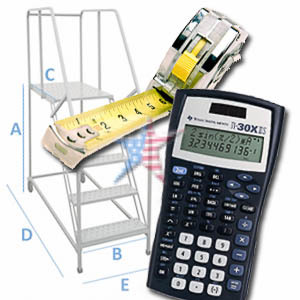 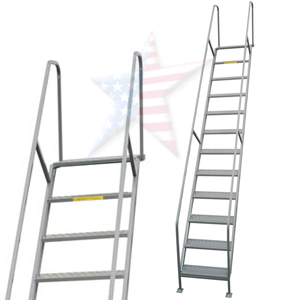 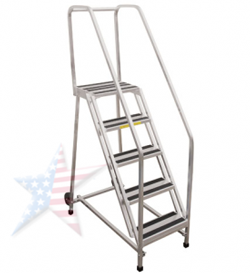 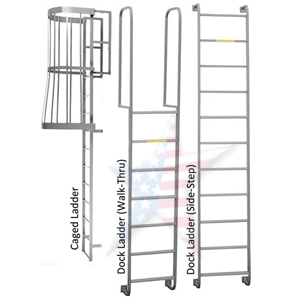 Rolling Platform Ladders have many options when trying to buy the correct platform for a specific job. 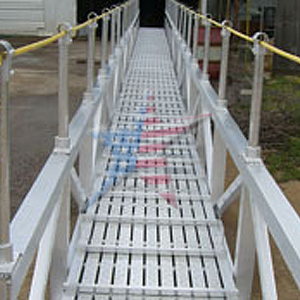 Remember to consider that the platforms are measured by the top platform height, step width and handrail height. 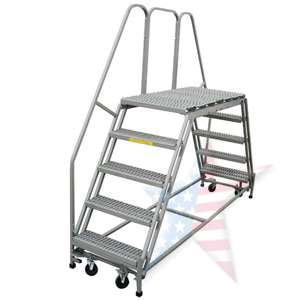 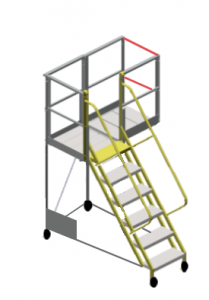 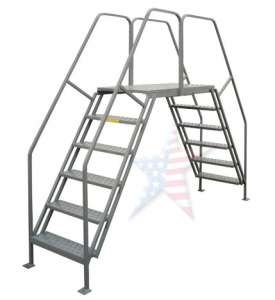 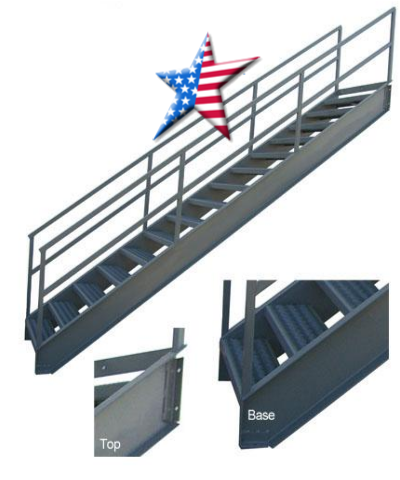 Typically work platforms come all welded, with 30" High handrails, perforated 24" wide steps, and locking safety casters.